If you are a business owner and want visibility online, you probably took the time to set up something on Google. Whether you set up Google Places, Google My Business or the failed Google Plus (that Google is still desperately trying to make work), you made sure to list your business somewhere on Google. Congratulations on accomplishing one of the most important first steps in internet marketing—getting your business on the number one search engine on the internet. Whaaaaaaa!!!! A hundred bucks?!?! Sounds awesome right? Well, it isn’t. It’s just cruel and awful. C’mon Google. We’re just trying to play by your rules so don’t tease us, baby. 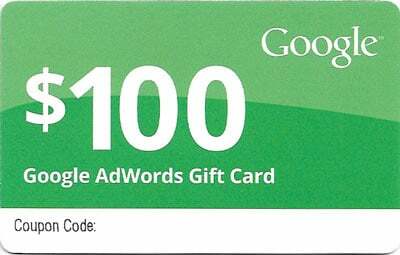 For completing a Google listing, Google will typically send you a $100 AdWords gift card in the mail. Now this may seem like a nice gesture from the internet giant, but it is actually a complete waste of time. Here at Post Launch, we recommend you take that $100 gift card and light it on fire (more options on what to do with the card at the bottom of this post). You’re probably thinking right now: “Why would I throw away $100? That sounds dumb.” The reality is that the amount of traction you’ll see for $100 is hardly worth the full day of research and setup you’ll need to just learn the basics of AdWords. You’ll spend 6-8 hours learning the basics of AdWords then apply your $100 credit to your (likely incorrect set up) campaign and watch it slide down the drain in about a day. It’s pretty darn complicated. From targeting demographics, to making sure you bid for the best keywords (there may be hundreds) and dialing your bids for the best time of day, considering negative keywords and buttoning up your efforts by setting ideal times of day (based on industry research) to show your ads for conversions. When it’s all said and done, you’ve probably put a week’s worth of effort into taking advantage of your $100 that is likely to last less than a day. The bottom line is that spending the $100 AdWords credit when you don’t know what you’re doing is going to leave you feeling frustrated and pissed off at Google. And as we all know, once it doesn’t work for you, it’s unlikely to ever work again, right? So, when a digital marketing company suggest buying ads on the internet, you throw a fit like a child that often limits your success in a comprehensive digital marketing campaign. Between “geo-targeting,” choosing “broad match” and “narrow match” keywords, choosing “competitive” keywords and “negative” keywords, and tracking “conversions,” understanding how to create an ad that works is a “pretty” technical task. Okay, enough with the quotation marks. 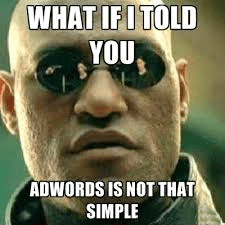 The reality is Google AdWords actually works, but it has to be set up correctly. Think of it like buying a bicycle on Amazon.com. It comes in 100 pieces (more like 9 pieces but hyperbole is kind of our thing if you haven’t gathered so far…) and you have to put it together before you can ride it. If all you have is a butter knife and some sweet, sticky weed, you don’t have the tools you need to ride that bicycle—it’s all about expertise. At Post Launch, we work with AdWords and other online ad buys in dozens of industries daily. We’ve taken the time to master the craft of AdWords, and we are here to help you figure out the best options for your business. Give us a call for a free consultation and free analysis at 702-800-2131 to help you decide if AdWords spending is worth it for your customer base. Afterall, should the cost for acquiring a customer outway the profit on that customer? So take that $100 in AdWords and toss it into a ring of fire. Or, here are 10 other more useful things you can do with the AdWords gift card. Take it from a Las Vegas internet marketing company, you need a partner to sherpa you through the complexities of buying ads online. Submit your clever things to do with your $100 AdWords card to Post Launch on Twitter, using @postlaunchco and the hashtag #100dollarfire and we’ll pick a winner to send $21 to this month.